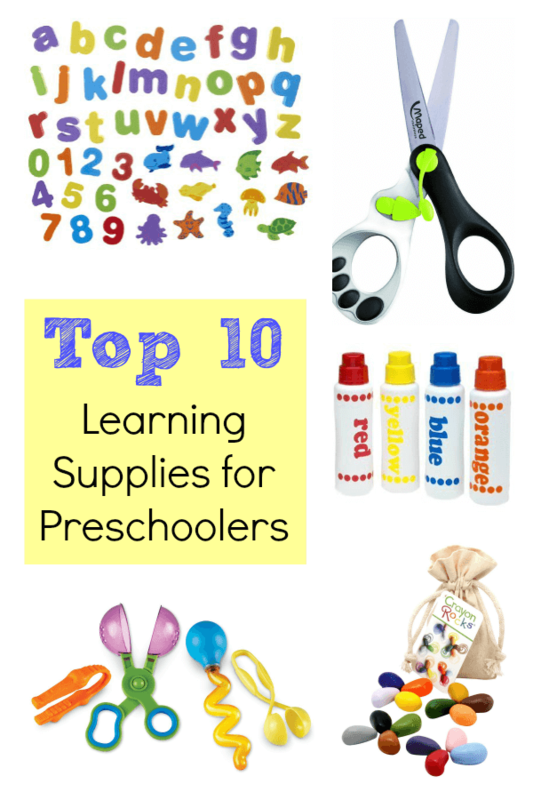 Today I am sharing my top 10 learning supplies for preschool. 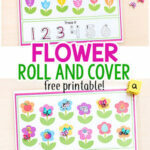 I highly recommend them for preschool at home or in the classroom. We use them almost daily. There are so many learning supplies out there. There are entire stores dedicated to selling educational supplies. It can get overwhelming and costly. I have definitely bought my fair share of supplies that I thought would be amazing, but ended up sitting in our closet collecting dust. 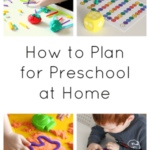 That’s why I wanted to make a list of my must-have learning supplies for preschoolers. All of these items are used very frequently in our home. I have gotten my money’s worth from all of them and I wouldn’t hesitate to buy them again. 1. Books – Developing early literacy skills and a love for reading is one of the most important goals of my home preschool agenda. Providing your child with lots of opportunities to read and interact with books is paramount. However, you don’t have to spend a crazy amount of money to do so. We like to go to the library and check out a large stack of books. I also go to our local Half Price Books and check out the clearance section. I often get brand-new or gently used books for $1 or $2 each. Thrift stores are another great option. 2. Construction paper – This may seem obvious, but I wanted to include it because we use it more than any other supply. My son loves to draw on it. He enjoys drawing on colorful construction paper more than plain white paper and I am all for it because it encourages him to practice pre-writing and develop fine motor skills. I also use it for lots of activities such as this rainbow hop letter sounds game and this puddle jumping alphabet activity. 3. 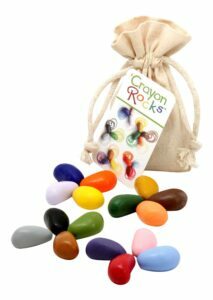 Crayon Rocks – If you want to encourage your preschooler to use a better pencil grip, these crayons are invaluable. Evan is a bit behind in fine motor skills and these crayons have been amazing for him. Many people suggest having your child use broken crayons to draw and color with, but Evan really disliked that. 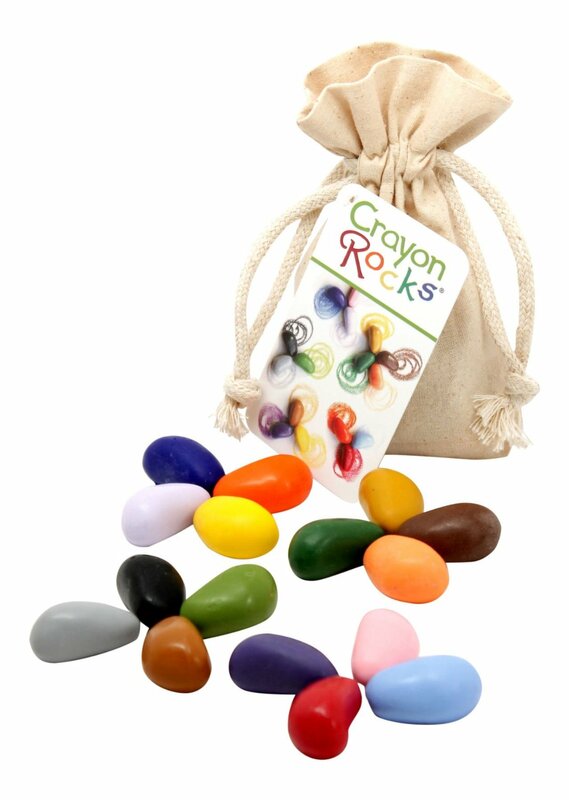 However, he loves the Crayon Rocks because they are like little rocks. He has used them almost daily for months and they still have lots of use left. Now, your child may use broken crayons and you can avoid the higher cost of these, but either way, make sure you have some crayons around for drawing and coloring. 4. 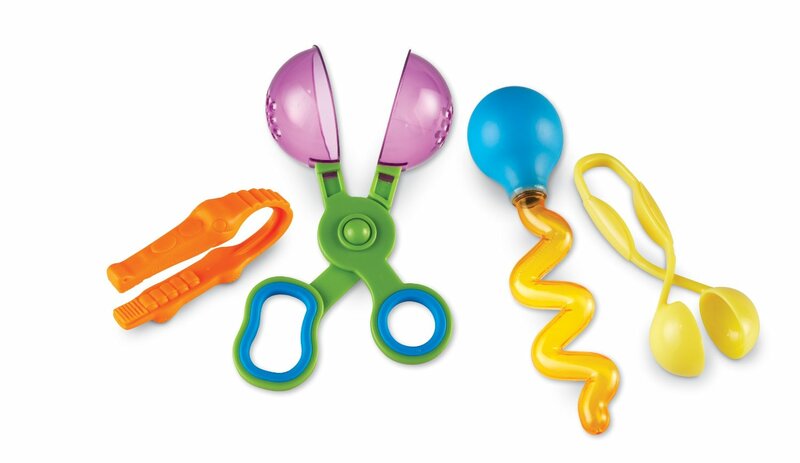 Scissors – Learning how to cut with scissors is a staple of preschool development. Children will need to be able to use scissors properly when they enter Kindergarten. This year we plan to spend a lot more time using scissors and developing the fine motor skills necessary to use them correctly. 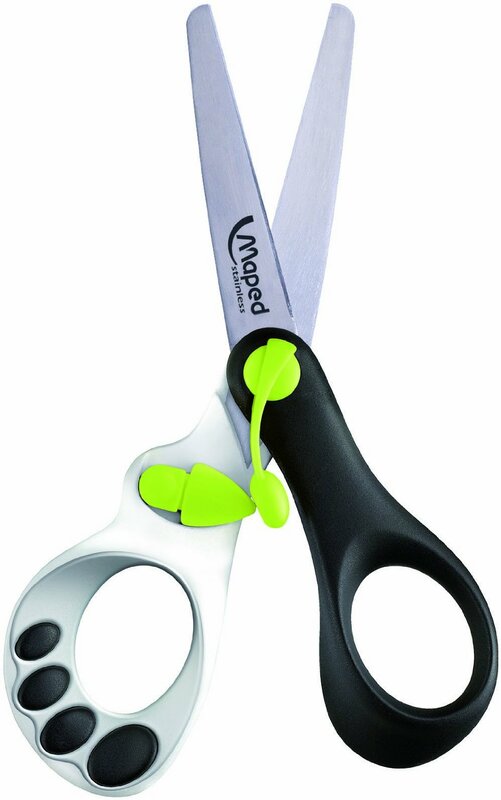 These scissors are our favorite. They have a spring that helps children just learning to use scissors and it can be deactivated when your child is more proficient at cutting with them. 5. Glue – Using glue is also a staple in preschool development. Children should know how to squeeze glue out of bottles without making a giant mess and manipulate glue sticks by the time they enter Kindergarten. This will make it much easier on your child’s teacher and will set your child up for a successful experience in a classroom where they will be expected to cut and paste things often. 6. Foam letters – We use foam letters all the time. 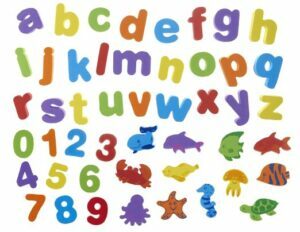 Tons of our alphabet activities include the use of foam letters. 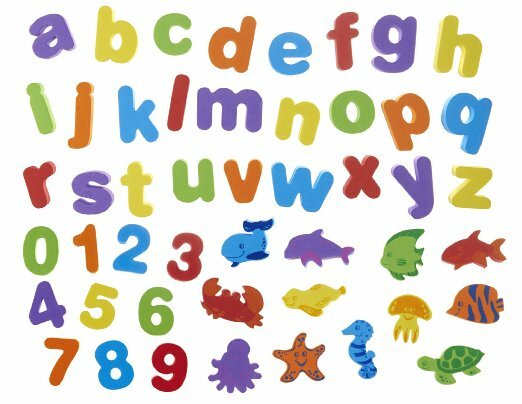 You can buy bath letters in the bath toy section or you can buy foam letter puzzles from the Dollar Tree. I actually prefer the dollar store puzzles because they have a lowercase version and many of the bath letters only have uppercase. 7. LEGO Duplo – These are also used almost daily in our home. Manipulating the LEGO pieces and putting them together is excellent for fine motor skills development. Building with LEGO bricks is also great for developing creativity and engineering skills. I also use LEGO Duplo to teach skills like counting, patterning and symmetry. 8. Play Dough – Playing with play dough is an excellent way to develop fine motor skills! Using a variety of play dough tools like cookie cutters and scissors is a great way to further boost the fine motor development that takes place. I use it to teach math skills like counting and number identification and science skills like habitats, life cycles and weather. 9. Fine Motor Tool Set – I use items from this set of fine motor tools all the time. 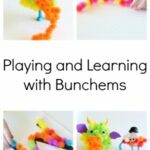 They are all very useful in developing fine motor skills in preschoolers. 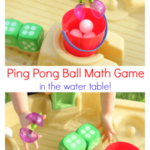 For instance, I used the handy scoopers for this fun math game in the water table, the squeezy tweezers for collecting bouncy balls and the twisty dropper for this super fun clouds and rain science experiment. 10. Do a Dot Markers – My son loves these markers! They are a bit on the pricey side, but we use them all the time and they have lasted over 6 months with no end in sight yet. You can also buy them at craft stores and use one the 40% off coupons they often give out. We have used them to go on an exciting letter hunt and to play a fun number recognition game. I hope this helps you narrow down the supplies your preschooler is most likely to use and get the most value from! Do you have any supplies to add to the list? Share in the comments below. 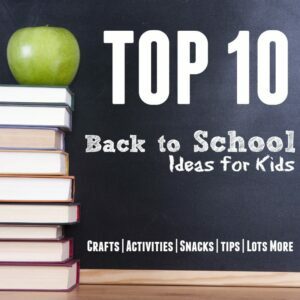 This post is a part of the Top 10 Back to School Ideas Blog Hop. Check out all of the posts below for tons of back to school activities, tips and more! 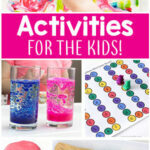 Hundreds of Kids Activities that are Totally Awesome!